Paramount Miami Worldcenter Luxury Condos is Miami downtown luxury building featuring 470 luxury residences. Paramount Miami Worldcenter Luxury Condos offering unprecedented amenities and services. 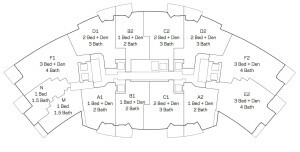 Directly connected to the Paramount Miami Worldcenter Mall. Residents will have all the convenience of luxury retail and restaurants just steps away. Paramount Miami Worldcenter Luxury Condos occupying 27 acres in the heart of downtown Miami. Paramount Miami Worldcenter is one of the largest private real estate developments underway in the United States. Phase One of the ten-block project will include world-class retail, residential towers, and an expo center and adjacent hotel that will elevate the underserved neighborhood to destination status. 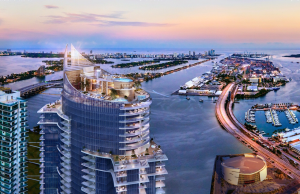 Paramount Miami Worldcenter is a collaboration between master developer Paramount Miami Worldcenter Luxury Condos Associates and a team of best-in-class development, design and engineering firms. 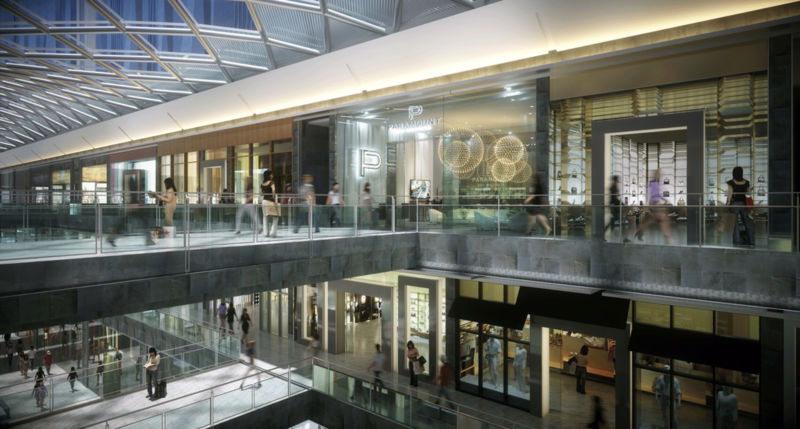 The Forbes Company and Taubman will deliver a 765,000 square-foot shopping mall anchored by Bloomingdale’s, Macy’s and complementary dining and entertainment options. A diverse mix of residential offerings will account for approximately 1,000 housing units, including luxury residences, boutique condominiums and market-rate apartments. Miami Worldcenter’s first residential tower, the 466-unit Paramount Miami Worldcenter condominium. 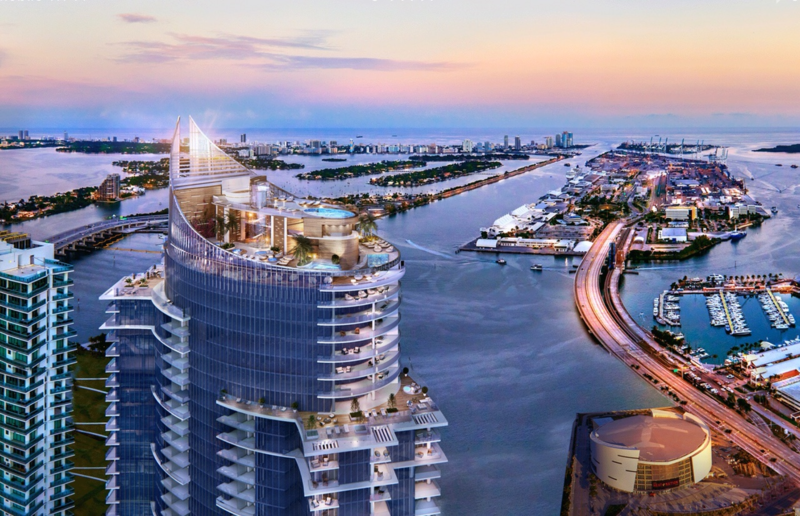 Additionally, Miami-based MDM Group will develop a new 54-story, 1,800-room JW Marriott Marquis hotel and expo center set to feature 600,000 square-feet of meeting and event space. Paramount Miami Worldcenter’s pedestrian-only promenade, including lifestyle and retail offerings, will connect the JW Marriott Marquis to main thoroughfares that lead to the Bayfront to the east. The Mall at Paramount Miami Worldcenter consisting of luxury retail and signature restaurants anchored by Bloomingdale’s and Macy’s. Bridging Miami’s Central Business District with its fast-growing Arts & Entertainment District, Miami Worldcenter will breathe new life into some of the City’s most underutilized blocks while enhancing neighborhood connectivity and creating new links to public transit. Modifications to area streets and expanded sidewalks will improve pedestrian and vehicle flow between Biscayne Bay, Museum Park and American Airlines Arena and points west, including Overtown and the Miami River. Direct links to the new All Aboard Florida high speed rail terminal, now under construction, and the existing Miami-Dade Metromover system will encourage the use of mass transit. Miami (/maɪˈæmi/; Spanish pronunciation: [maiˈami]) is a city located on the Atlantic coast in southeastern Florida and the county seat of Miami-Dade County. The 44th-most populated city proper in the United States, with a population of 417,650, it is the principal, central, and most populous city of the Miami metropolitan area, and the most populous metropolis in theSoutheastern United States after Washington, D.C. According to the U.S. Census Bureau, Miami’s metro area is the eighth-most populous and fourth-largest urban area in the United States, with a population of around 5.5 million. Miami is a major center and a leader in finance, commerce, culture, media, entertainment, the arts, and international trade. In 2012, Miami was classified as an Alpha− World City in the World Cities Study Group’s inventory. In 2010, Miami ranked seventh in the United States in terms of finance, commerce, culture, entertainment, fashion, education, and other sectors. It ranked thirty-third among global cities. In 2008, Forbes magazine ranked Miami “America’s Cleanest City”, for its year-round good air quality, vast green spaces, clean drinking water, clean streets and city-wide recycling programs.According to a 2009 UBS study of 73 world cities, Miami was ranked as the richest city in the United States, and the world’s fifth-richest city in terms of purchasing power. Miami is nicknamed the “Capital of Latin America”, is the second largest U.S. city with a Spanish-speaking majority, and the largest city with a Cuban-American plurality. Downtown Miami is home to the largest concentration of international banks in the United States, and many large national and international companies. 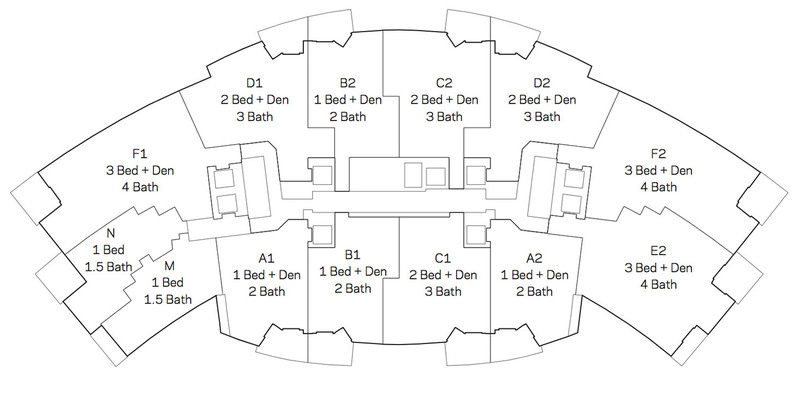 The Civic Center is a major center for hospitals, research institutes, medical centers, andbiotechnology industries. For more than two decades, the Port of Miami, known as the “Cruise Capital of the World”, has been the number one cruise passenger port in the world. It accommodates some of the world’s largest cruise ships and operations, and is the busiest port in both passenger traffic and cruise lines. Miami is a major center of commerce, finance, and boasts a strong international business community. According to the ranking of world cities undertaken by the Globalization and World Cities Study Group & Network (GaWC) in 2010 and based on the level of presence of global corporate service organizations, Miami is considered a “Alpha minus world city“. Miami has a Gross Metropolitan Product of $257 billion and is ranked 20th worldwide in GMP, and 11th in the United States. Several large companies are headquartered in or around Miami, including but not limited to: Akerman Senterfitt, Alienware,Arquitectonica, Arrow Air, Bacardi, Benihana, Brightstar Corporation, Burger King, Celebrity Cruises, Carnival Corporation, Carnival Cruise Lines, CompUSA, Crispin Porter + Bogusky, Duany Plater-Zyberk & Company, Espírito Santo Financial Group, Fizber.com,Greenberg Traurig, Holland & Knight, Inktel Direct, Interval International, Lennar, Navarro Discount Pharmacies, Norwegian Cruise Lines, Oceania Cruises, Perry Ellis International, RCTV International, Royal Caribbean Cruise Lines, Ryder Systems, Seabourn Cruise Line, Sedano’s, Telefónica USA, UniMÁS, Telemundo, Univision, U.S. Century Bank, Vector Group and World Fuel Services. Because of its proximity to Latin America, Miami serves as the headquarters of Latin American operations for more than 1400 multinational corporations, including AIG, American Airlines, Cisco, Disney, Exxon, FedEx, Kraft Foods, LEO Pharma Americas, Microsoft, Yahoo,Oracle, SBC Communications, Sony, Symantec, Visa International, and Wal-Mart. Miami is a major television production center, and the most important city in the U.S. for Spanish language media. Univisión,Telemundo and UniMÁS have their headquarters in Miami, along with their production studios. The Telemundo Television Studiosproduces much of the original programming for Telemundo, such as their telenovelas and talk shows. In 2011, 85% of Telemundo’s original programming was filmed in Miami. Miami is also a major music recording center, with the Sony Music Latin and Universal Music Latin Entertainment headquarters in the city, along with many other smaller record labels. The city also attracts many artists for music video and film shootings. Since 2001, Miami has been undergoing a large building boom with more than 50 skyscrapers rising over 400 feet (122 m) built or currently under construction in the city. Miami’s skyline is ranked third-most impressive in the U.S., behind New York City and Chicago, and 19th in the world according to the Almanac of Architecture and Design. The city currently has the eight tallest (as well as thirteen of the fourteen tallest) skyscrapers in the state of Florida, with the tallest being the 789-foot (240 m) Four Seasons Hotel & Tower. During the mid-2000s, the city witnessed its largest real estate boom since the Florida land boom of the 1920s. During this period, the city had well over a hundred approved high-rise construction projects in which 50 were actually built. In 2007, however, the housing market crashed causing lots of foreclosures on houses. This rapid high-rise construction, has led to fast population growth in the city’s inner neighborhoods, primarily in Downtown, Brickell and Edgewater, with these neighborhoods becoming the fastest-growing areas in the city. The Miami area ranks 8th in the nation in foreclosures. In 2011, Forbes magazine named Miami the second-most miserable city in the United States due to its high foreclosure rate and past decade of corruption among public officials. In 2012,Forbes magazine named Miami the most miserable city in the United States because of a crippling housing crisis that has cost multitudes of residents their homes and jobs. The metro area has one of the highest violent crime rates in the country and workers face lengthy daily commutes. Miami International Airport and PortMiami are among the nation’s busiest ports of entry, especially for cargo from South America and the Caribbean. The Port of Miami is the world’s busiest cruise port, and MIA is the busiest airport in Florida, and the largest gateway between the United States and Latin America. Additionally, the city has the largest concentration of international banks in the country, primarily along Brickell Avenue in Brickell, Miami’s financial district. Due to its strength in international business, finance and trade, many international banks have offices in Downtown such as Espírito Santo Financial Group, which has its U.S. headquarters in Miami. Miami was also the host city of the 2003 Free Trade Area of the Americas negotiations, and is one of the leading candidates to become the trading bloc’s headquarters. As of 2011, PortMiami accounts for 176,000 jobs and has an annual economic impact in Miami of $18 billion. It is the 11th-largest cargo container port in the United States. In 2010, a record 4.33 million passengers traveled through PortMiami. One in seven of all the world’s cruise passengers start from Miami. The Civic Center has the country’s second-largest concentration of medical and research facilities. It is the center of Miami’s growingbiotechnology sectors. According to the U.S. Census Bureau, in 2004, Miami had the third highest incidence of family incomes below the federal poverty line in the United States, making it the third poorest city in the USA, behind only Detroit, Michigan (ranked #1) and El Paso, Texas (ranked #2). Miami is also one of the very few cities where its local government went bankrupt, in 2001. However, since that time, Miami has experienced a revival: in 2008, Miami was ranked as “America’s Cleanest City” according to Forbes for its year-round good air quality, vast green spaces, clean drinking water, clean streets and city-wide recycling programs. In a 2009 UBS study of 73 world cities, Miami was ranked as the richest city in the United States (of four U.S. cities included in the survey) and the world’s fifth-richest city, in terms of purchasing power.